Commercial COC, Certificate of Compliance Inspections, repair and certification. Industrial installations - Factories and the manufacturing environment. Restaurant installations in the catering environment. 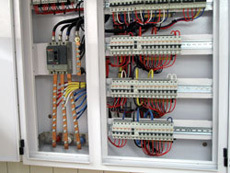 To perform every electrical installation to the best of our ability, to combine experience and skill with sound installation techniques to deliver a safe installation at a reasonable price. 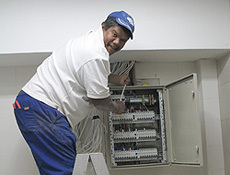 All electrical installations will conform to the South African National Standards Wiring Code (SANS10142). On completion of work relevant installation tests will be performed to ensure that the entire installation is safe and within design parameters and a Certificate of Compliance will be issued upon request. A qualified electrician or elconops operator with a valid wireman’s licence will be present on the work site to ensure that work is performed in a workmanlike manner and to ensure that safety standards as required by the OSH Act are adhered to at all times. All tools and equipment will conform to relevant safety standards and will be used in an appropriate manner to achieve a quality installation within the allotted time. 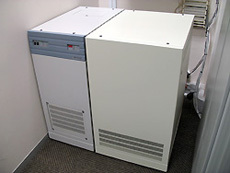 We undertake to familiarize ourselves with the overall dynamics of the job, to plan the installation in advance, to strictly adhere to the design criteria of architectural and engineering drawings and to maintain good communication with our client and/or project manager to avoid misinterpretation that could lead to loss of time and money.